Professor Seielstad teaches clinical and doctrinal courses. In both kinds of courses, she integrates problem-solving exercises and applied lawyering skills, typically within the context of representing real clients. 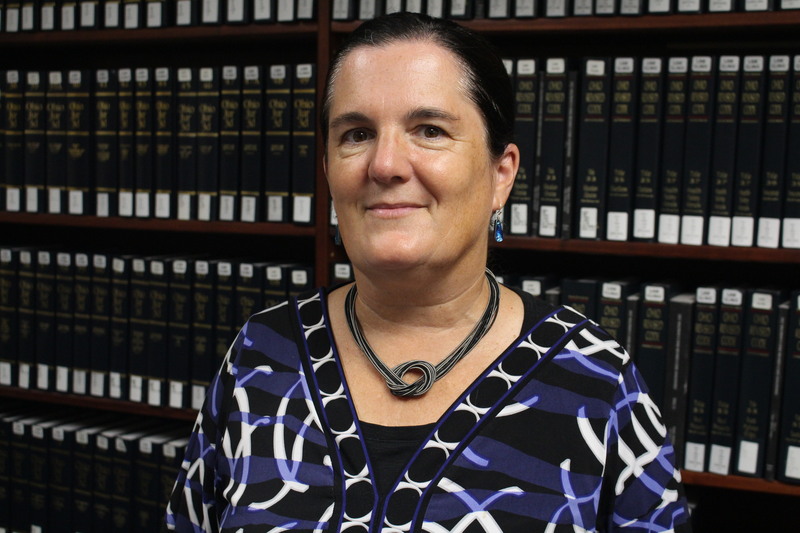 Through experiential learning opportunities, Professor Seielstad seeks to bring to life the contemporary relevance of theoretical concepts relevant to the courses she teachers as well as to allow students to develop other fundamental lawyering skills. In the Dayton area, Professor Seielstad has worked with students in promoting change in the areas of housing and homelessness, juvenile law and the conditions of confinement in local jails. Professor Seielstad's scholarly interests derive from ongoing reflections and experience as a practitioner-of-law with teaching and research interests. She has published in the Clinical Law Review a piece on the phenomenon of unwritten rules in local legal culture as well as an article setting forth a model of teaching problem solving in clinical legal education through collaborative community building activities with grassroots organizations. An article describing potential methods of using international norms to promote legal change within areas of U.S. domestic law traditionally governed by state and local law is forthcoming. Another aspect of her scholarship focuses on issues relevant to indigenous sovereignty and tribal court jurisdiction and jurisprudence. She published in the Tulsa Law Review a comprehensive and multifaceted analysis of the origins and evolution of the doctrine of tribal sovereign immunity. She presents regularly at national and international conferences on topics relevant to clinical legal education, tribal justice systems, community lawyering, and social justice. She has also published a variety of amicus and appellate briefs before the Supreme Court, federal court and tribal court on the issue of individual rights and tribal sovereignty under the Indian Civil Rights Act. The Promise of Virtual Worlds in Global Justice Education: Virtual worlds are emerging frontiers for experiential learning and the teaching of lawyering skills and perspectives. With proper training, planning and integration with other Web 2.0 platforms and traditional class-room methods, law clinics may make effective use of virtual worlds to augment real-world problem-solving and justice initiatives as well as to enhance student learning and reflection about issues of local as well as global concern. Community Building and Problem Solving, Fifth International Conference on Clinical Legal Education: "Problem Solving in Clinical Education" sponsored by the UCLA School of Law and the University of London Institute of Advanced Legal Studies, Lake Arrowhead, California, November 2001. As panelist presented a paper on teaching and development of problem-solving skills through a model of clinical legal education that combines community lawyering with individual representation and collaborative community building activities. Recognition and Enforcement of Individual Rights within the Navajo Nation, Navajo Nation Bar Association, Bar Preparatory Course, Window Rock, Arizona, March 2001. The Culture of Justice, Association of American Law Schools (AALS) Annual Clinical Conference, Albuquerque, New Mexico, May, 2000. Discussed justice implications of local legal cultures, including their disproportionate impact in some places on different groups of people, and engaged participants in brainstorming session about strategies for changing the legal cultures in which they practice. Moving from the Office to the Community, From the Individual to the Neighborhood: Implementing Community Lawyering into a Traditional Case-Based Clinical Program, A.A.L.S. Conference in Washington, D.C., January 2000. As presenter on Lawyering without Clients panel, discussed a model of integrating community-based advocacy into traditional individual client-based clinical programs, drawing from experiences with grassroots community development work in University of Dayton's clinical program. Taking Sides in Community-Based Social Justice Advocacy: Comparative International Perspectives, Global Alliance for Justice Education (G.A.J.E. ), First International Conference, Trivandrum, India, December 10, 2000. Delivered introductory presentation and facilitated discussion regarding the various roles lawyers and clinical programs may play in addressing systemic injustice in the communities and legal systems in which we work. Explored potential issues that can emerge when clinical programs allocate resources to certain community entities or interests, thereby altering the status quo and changing the allocation of power within communities. Co-presented with Professor Judith Dickson, LaTrobe University. Tribal Adjudicatory Jurisdiction after the U.S. Supreme Court's decisions in A-1 Contractors v. Strate, C.L.E. presentation delivered at Navajo Nation Bar Association's Annual Conference held in Flagstaff, Arizona in June 1999. Written materials distributed also at the State Bar of Arizona's annual conference in 1999. Teaching Case and Project Management Skills, presentation delivered at Midwest Clinical Conference in Chicago, Illinois, October 1998. Co-presented with Professors Kimberly O'Leary and Kathy Hessler. The Recognition and Evolution of Tribal Sovereign Immunity under Federal Law: Legal, Historical, and Normative Reflections on a Fundamental Aspect of American Indian Sovereignty, 37 Tulsa Law Review 661 (2002). Community Building as a means of Teaching Creative, Cooperative, and Complex Problem Solving in Clinical Legal Education, 8 Clinical L. Rev. 445 (2002). Unwritten Laws and Customs, Local Legal Cultures, and Clinical Legal Education, 6 Clinical Law Review 127 (1999).